The competition is open to professional and amateur cartoonists from all over the world. 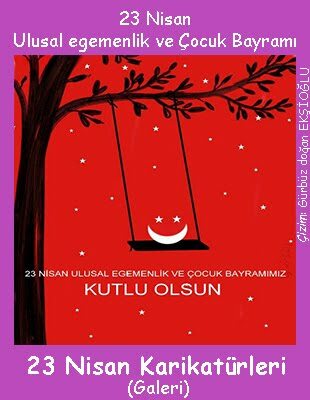 We sincerely invite all the cartoonists all over the world to attend the contest.. Accept the digital works. 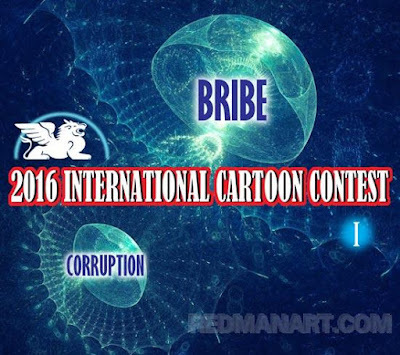 After your works was selected, the..
2016 International Cartoon Contest On Bribe, China.. Welcome to participation the 2016 INTERNATIONAL CARTOON CONTEST ON BRIBE. 1). The competition is open to professional and amateur cartoonists from all over the world. 4). Accept the digital works. After your works was selected, the organizing committee will notify you, send your original works to the organizing committee, to participate in the final awards. 5). 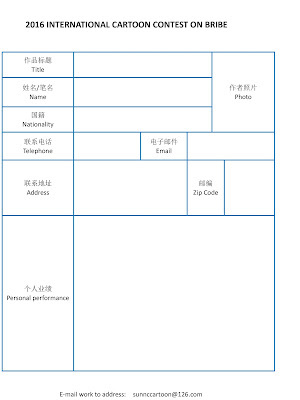 Each entrant should provide title, name, age, address, career, e-mail, and telephone number. 6). Entries can be either black and white or colour . 7). The size of the work no limit. 8). The number of work there is no limit. 9). Deadline for entries is January 1, 2016. 11). Submitted cartoons will not be returned. 12). The cartoonists whose works has been selected will receive a copy of the catalog made for competition. 13). The organizers reserve the right to publish the cartoons submitted to the exhibition and use them in any forms. 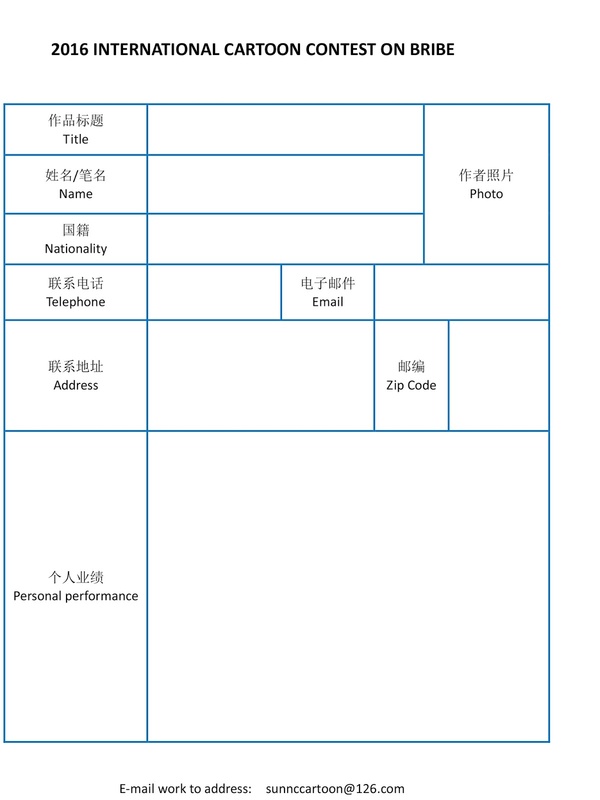 Your cartoon may be used for promotional purposes : cards, posters, catalogs, newspapers, magazine, and books etc. 14). Participants are considered to have accepted all the conditions.